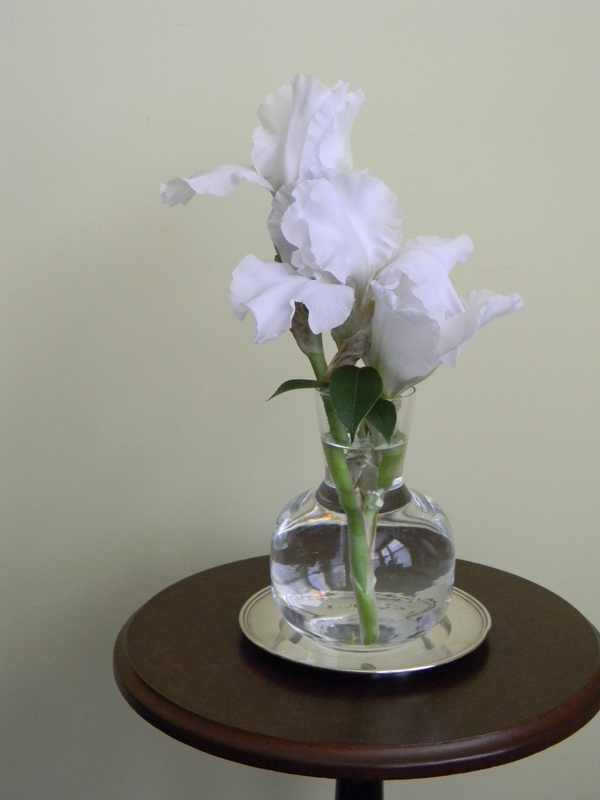 In a Vase on Monday: Surprise! Can you imagine my surprise at discovering an ‘Immortality’ iris in bloom here at the beginning of August? One of the great joys in gardening is finding a surprise, and this is a joyous one. ‘Immortality’ is one of my favorite irises, and I expect it to rebloom in the fall. However, it has never done so as early as August. I just had to share it in our Vase this Monday. Oh, and yes, there is another one showing buds. Our thanks again to Cathy at Rambling in the Garden for suggesting this meme. Please join her and others who are sharing what is growing in their gardens in a vase this Monday. This entry was posted in In a Vase on Monday and tagged Cathy, Immortality bearded iris, In a Vase on Monday, Rambling in the Garden. Bookmark the permalink. 12 Responses to In a Vase on Monday: Surprise! Such a pretty iris; no wonder it’s a favorite. And the simple presentation really lets it shine! Thanks, Marian. Immortality is a favorite. I must rush out and see if anything as wonderful is happening in my garden. And I am sure you will find some goodies. Oh, that is lovely, and so pristine. Looks like you picked it at just the right moment! Glad you have more coming! Most unusual to see it in August. Glad to know you are into re bloomers. They are magical. 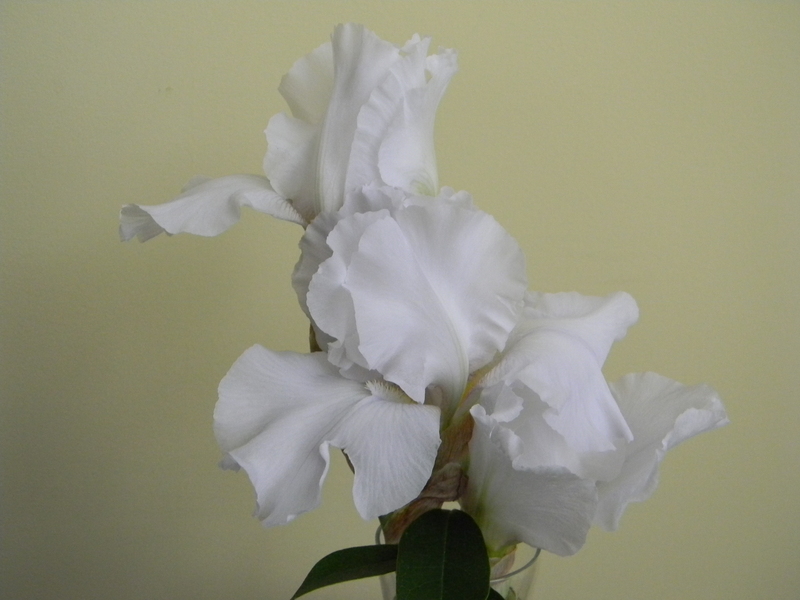 What a pure white flower, so elegant in the vase. Sometimes plants do weird things after a hot dry spell, the return of rain and more civilized temperatures makes them think of spring! Immortality is certainly an appropriate name.